Hi all. I used to work for the National Rivers Authority managing river maintenance. In the mid 1990's we were encouraged to take on private work. We took a job to clear silt from a pond made of an old watercress bed. The operations manager surveyed the job and determined that the pond had a hard bed so the idea was to just scapre the silt out with our JCB 812 working in the water. Towards the end of the job the driver discovered that the "hard bed" was actually a compacted gravel crust over wet peat when the machine broke through. He reacted quickly enough to drop the boom and stop it sinking out of sight but the engine hydraulicked. 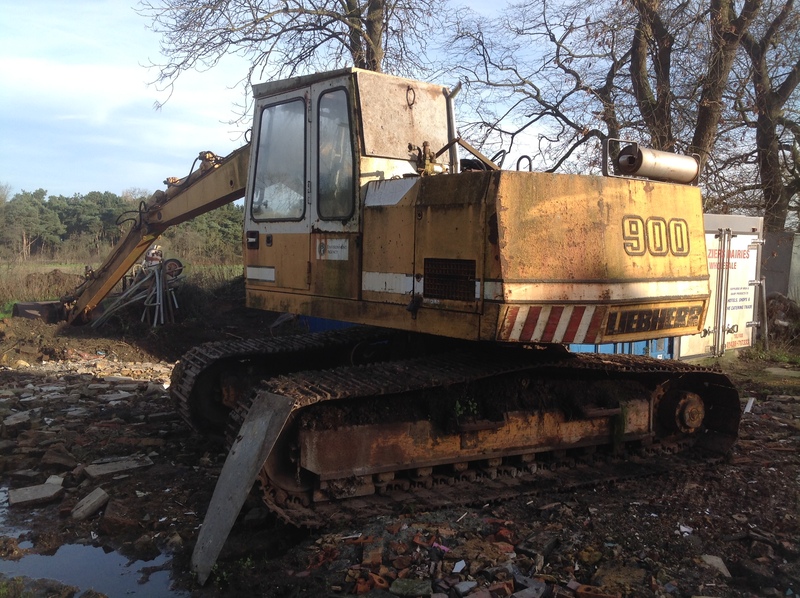 The machine was eventually recovered using 2 heavy wreckers with 60 tonne winches after pumping the pond dry and digging an exit ramp with our Liebherr R900B (which I now own ). Hi Ian welcome to CMN thanks for your post; the Liebherr looks a smart machine. I'm finding the forum a real goldmine of information. Keep up the good work. The old girl looks a bit tatty now and I keep promising myself to freshen her up some time but she runs well and has just passed her annual insurance inspection yet again with no faults. You can't beat quality. Even with the 14 foot dipper arm we have used her to dig out clay to 10 feet deep to set a new farmyard back into a sloping field. It would have been faster with a standard dipper but she still did it! A great machine.